Saturday brought with it another morning hypo. Although never pleasant, it did prove timely. 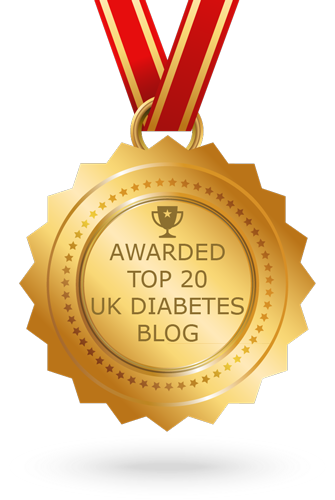 All this blogging has led to lots of discussions about diabetes, which is marvellous at a time when the kids are more aware and eager to learn. We have all learnt a lot; about diabetes, and about each other. Some of the things the girls weren't sure about, surprised me. 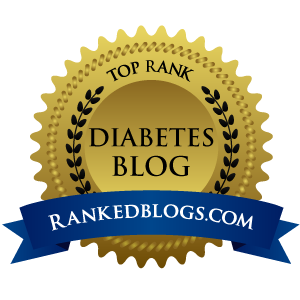 I suppose I thought that living with diabetes all this time had been enough to prepare them to take on some responsibilites, if, or when, they would need to. In fact, what they know is the theory, but they worry about failing the practical. I realise now that I have sheilded them from Mike's severe hypos. Rare, and usually first thing in the morning, it hasn't been hard to ensure that the kids were somewhere else while I sorted Mike out. Mike isn't Mike when he's hypo. I can't expect him to react in a way he would usually react. It makes parenting a little inconsistent. The kids didn't understand those inconsistencies when they were small. They do now. I also didn't want them to witness my anxiety, in the same way you don't want to pass on a fear of spiders, or in my case, bridges (strange but true), you put on a brave face. I try to appear calm, explain what's going on in a very 'matter of fact' way, a "Just going to make a cup of tea and bring Daddy round from a hypo" way. I didn't want them to worry. Since Ellen has been at secondary school, morning hypos have become a pain. I have a lot to sort out early in the morning, everything is more of a rush, with a list of things to remember to remind. I suspect I convey annoyance rather than panic on those days, at the extra job I've been given at a particularly inconvenient moment. It's not a great time to start asking questions and have a good open discussion; but bless our wonderful daughters, for reading the situation well enough to know to get their own breakfast, get themselves sorted out independently and out to school on time. On Saturday, Mike woke up hypo. We were all together round the breakfast table as he came round. We used it as a practical lesson. While Mike was refusing sugar, I explained what to do, and also saw how hard it would be for them to take control. Afterwards, we sat and talked about it. Mike tried to explain the confusing messages that are going through his head when he's hypo, Ellen and Beth explained how they felt, why it was scary and what their concerns were. How do you persuade a grown man who is usually in charge, to take something sugary, when his brain is telling him not to? It was a lesson for all of us, and it's not over yet. Mike's Mum was present at the birth of both of our daughters. I had asked that she be there. I knew she would be able to spot if Mike was going low, and know what to do. I had an idea my attention may be elsewhere. As it happened, he was fine, which was just as well as after 42 hours, I'd eaten all the sweets. In the first few weeks of parenthood, Ellen lulled us into a false sense of security, as babies are wont to do. You build yourself up to a major life change, no sleep, incessant crying. We went home and had a pizza. It all seemed a doddle. We lowered our guard, we thought she was the best baby in the world, then she changed her game. At six weeks, Ellen stopped sleeping and began a feeding frenzy. I was exhausted. Ellen, unhelpfully, flatly refused to take a bottle. I ate three large meals a day, took build up drinks in between and still lost weight. She drained me. Everything is a blur. Mike was working for an agency at the time, long hours, strict deadlines. He arrived home to be handed the baby so that I could get some rest. I'm sure anyone who has children will recognise the level of exhaustion I'm talking about here. Now add diabetes. I wake up to the sound of Ellen calling for her morning feed, and see that Mike is looking that waxy, pasty colour you learn to recognise as a bad sign. I try to get him to talk to me to confirm my suspicion that his sugars are low and sure enough he's unable to answer simple questions and too unresponsive to sort himself out alone. By now, Ellen is screaming. I'm pulled two ways, my heart is divided, I have to sort Mike out first, but I'm a Mummy and my baby needs me. More than once I found myself running from room to room, sorting out Mike, then feeding Ellen, back to check on Mike and back to Ellen, thinking, I'm sure this isn't how it's supposed to be. Telling the story later was always entertaining, it sounded like part of a comedy show. Ellen was always rather surprised to be thrown back in her cot mid feed, and Mike would always add a surreal touch by answering my test questions with bewildering answers if he had not fully come round. I hadn't anticipated the need to be more than one person, in more than one place at a time. I expected it with the second baby, but not with the first. I suppose I'd forgotten about Mike. I've been temporarily distracted, for about ten years. I always thought it would be great to have the powers of Elastigirl from The Incredibles. Elastigirl with extra arms would be the ultimate power for any Mum, maybe with a built-in everlasting tissue dispenser. I don't think getting a new bike has ever been so scary! Last summer Ellen and I both needed a new bike. First we went to 'Go Outdoors' where Ellen saw a bike she really fancied, I didn't however so we went to 'Halfords'. There was a bike there that I really liked but they only had one in stock and it was broken. The next day Dad and I went to the bigger 'Halfords' that the man had told us about. They had the right bike so we went to the counter and bought it. Whilst the man was getting the bike out, Dad started pouring little sachets of sugar into his mouth. This scared me because I knew he wasn't supposed to do this, I don't think I would have worried about it if Mum was there because she would have probably known if he was low or not. I didn't really know what to do, I knew I wanted him to stop, but if he was low he would need the sugar, I wasn't sure how to ask him. Because I thought he was low, I didn't trust him to give me truthful answer about what he was doing, since when he's low in the mornings if you ask him if he's low he sometimes denies it. As it turns out, he was not low, just trying to make sure that he wouldn't be low when he was driving me home. 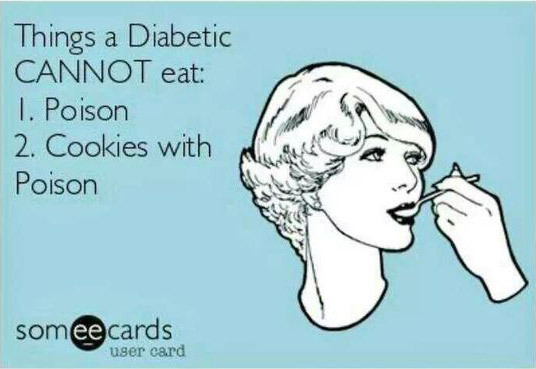 For this reason I would like to know more about diabetes and how you can tell if someone is low and how to deal with it. It is great to get some feedback, thankyou for your comments, it has spurred me on to keep writing. I'm relieved to know that it IS this hard to keep those blood sugar levels even, and it's not just us being a bit rubbish at it! However long you live with it, however hard you try, I don't think you ever really believe you are doing it right; a belief encouraged by Doctors, who look shocked when you tell them how often your sugars go low, and say things like "Gosh, that shouldn't happen." (I witnessed this on our recent visit to casualty, I suspect Mike is more used to it.) Mike stays calm, he accepts the statement, takes it on board, vows to try harder. I wanted to jump up and down, stamp my foot and shout "You haven't got the first idea of what this is like to live with!" Just in case you happen to have come across this blog shortly after the diagnosis of yourself or a member of a family, here's a little tip from someone who's been there. Never, ever, ever buy any foodstuff labelled 'diabetic'. Ever. Soon after diagnosis and for several years afterwards well-meaning friends and relatives would 'treat' me to some diabetic chocolate, jam or something similar. It wasn't long before I realised that these expensive products were something of a poisoned chalice. They appeared to allow you to continue to enjoy something sweet and tasty that you worried you'd never be able to eat freely again. The reality however quickly becomes clear. Yes you can eat that bit of chocolate. But it isn't very nice chocolate, and even a few squares (which is all the packaging suggest you allow yourself to avoid succumbing to a dose of the runs) are followed but terrible bouts of wind. I mean really bad, uncomfortable, painful, window rattlers. Quite funny, granted, but then you are faced with the rest of the bar sitting there; daring you to try it again. Some would suggest you need to have impeccable control and a will of iron, then melt a square of proper 70% dark stuff on your tongue after a big meal once in a blue moon. For us real people however, it's important to realise that it's just a case of not very much and not very often. I don't have to live like a monk forever. If I'm careful for most of the time, a little treat every now should do me very little harm and stop me going insane (or giving up altogether). Personally, and yes I know it's not the best thing to use, I always used to eat chocolate to recover from low level hypos (you know the ones that hover around the 4 mark). Yes it is too high in fat. No it doesn't get into the bloodstream as quickly as glucose tablets. But I'm lucky not to have much of a problem with my weight or cholesterol levels, and it gives me enough of a chocolate fix to make saying no all the other times easy. Coping with diabetes long-term has meant learning to live a different way. To live every day with it in mind. I've had to come to terms with not being able to eat whatever I want, whenever I want it. To make different, healthier food choices my default option. But I also needed to find a way to live as normally as I can, every day. To live with the condition, not under it. There's nothing like writing something down and ranting about how nonsensical and inexplicable it is to change things. 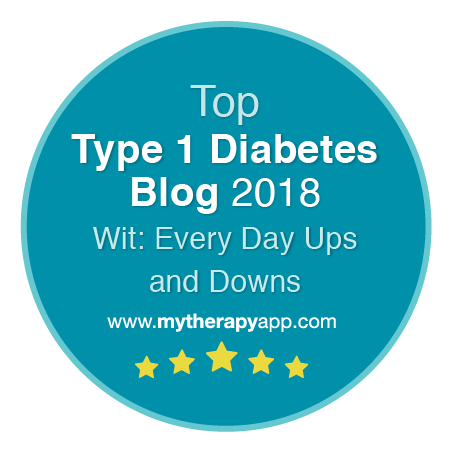 A few days ago I went on at length about how dropping 2 units of Lantus led to consistently high readings the following morning and seemed to cause rampant blood glucose rises for the whole next day. Well guess what. Over the last week I've had low blood sugars in the morning a few times, and each time I've dropped back to 12 units for my evening dose. It seems, almost deliberately to spite my blog post, that my body has decided to accept this little change with good grace this time. Indeed last night (after a briskish 9.30pm walk) I dropped to 12 units and ate approx 20g carbs and still woke up a little hypo this morning! Update: more on my continuing Lantus fun and games here. We have just come back from a weekend away with Mike's family, celebrating both his parents turning seventy. They did this in style, by running all five grandchildren ragged on the tennis court, seventy, pah! When we managed to get them sitting still for a minute, we did a little reflecting, as you do at these sort of events, and Mike's Mum told me about how she felt when Mike was first diagnosed. In a nutshell, she blamed herself, she still does. What did she do wrong? What could she have done differently? Did she let him eat too many biscuits as a child? That may sound like a silly question to ask yourself, but from what I hear, he did eat a LOT of biscuits. There are a lot of 'what if's' and a nagging belief that there must be a way that this could have been prevented, some way in which she could have protected her child. No matter what we said, nothing could convince her that this was entirely out of her hands. To make matters worse, a relative reacted to the news of Mike's diagnosis, by telling his Mum that 'No-one will take him on now...' inferring that Mike would never marry or have a long term partner. I can't imagine how that must have made her feel. Anyone who knows Mike will know how ridiculous that is, had I not snatched him up plenty of others would have happened along, and if he was more self-assured, he'd have had a queue. Now she worries about all the grandchildren, which one will get it? She worries that they eat too much sugar, though compared to most children their age they eat hardly any, and as Mike pointed out, that would be a more likely cause of developing type 2 diabetes than type 1. It makes no difference, it's a worry and worries sit like a tumour, hopefully remaining benign, but always present and full of potential. It's the 'out of control' feeling that makes it so hard, the irreversibleness of it, as a parent you can't say 'there there', put a plaster on it and make it better. What Mike's Mum does do, is make the best ever, diabetic friendly, Christmas pudding, among a lot of other things, and I am talking BEST EVER. That, I think, is the closest you can get to a 'there there' and a plaster, and it works for us.